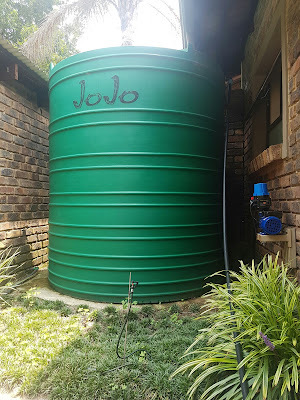 Utilizing the following components, IDX was quickly able to monitor the irrigation supply tank at our offices in Fourways. 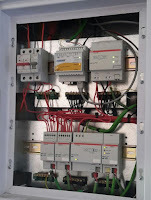 To complete this task we would be using the Netbiter Remote tank monitoring solution with the following components. The Netbiter Ultrasonic Tank Sensor comes with an included metal washer, this acts as a perfect stencil to outline the required holes. 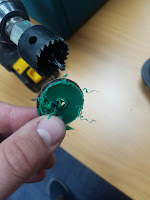 The center hole required is 30 mm, however we utilised a 32 mm drill mounted hole cutter. 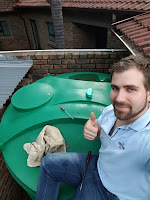 Ensure the sensor is mounted on the top surface of the tank, as horizontal as possible, with a clear view down to the contents of the tank and not a side wall or obstacle. Using a 32 mm drill mounted hole cutter, this task was made effortless. 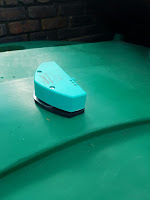 However it is important to use a file or course sanding paper afterwards to clean off rough edges and loose bits, in order to ensure a water tight seal. We used a 4 mm drill bit for the screw holes. 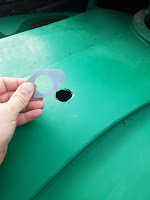 It is recommended that on uneven or non-rigid surfaces, the supplied rubber gasket and metal washer be utilised to create an IP65 seal between the sensor and the tank, especially in the cases of fuel tanks that could be contaminated by water. We utilised large washers below the surface to ensure a rugged connection. you should avoid leaving the sensor in direct sun light, we decided to re-purpose a plastic container to shade the sensor. This will prevent any inaccurate readings that may be caused by direct sunlight, in addition it will protect the sensor from the external elements, taken into consideration that the sensor has an IP65 rating and can be utilised in wet and harsh environments. 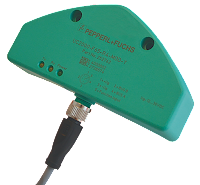 The Netbiter Ultrasonic Sensor comes with 10 meter power and data supply cable. The M12 connector screws with a water tight connection onto the back of the sensor. 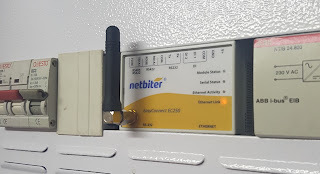 We ran the cable into our office ceiling, and then into a distribution cabinet with our Netbiter EC250 and power supply. 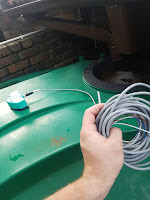 If the tank sensor is your only device on the network, it is standard practice to terminate on both ends of the segment (at both the sensor and EC250 - GSM controller). 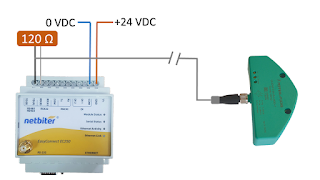 The sensor has a built in terminating resistor that can be turned on and off via the RS485 bus, therefor placing a 120 Ohm resistor between line A and B on the Netbiter is required.